This weekend, District Running Collective is partnering with Washington, D.C.'s number one news station (NBC4) to bring you the NBC4 Food For Families 4K Fun Run! Together we are hosting this event to collect food and money to provide a Thanksgiving meal to families in need across our area. The 4K Run will start in the Yards Park at the Capitol Riverfront at Sunday, November 13th at 11 am. We will conclude the run with brunch at Agua 301 (301 Water St. SE)! Help NBC4 feed thousands of our less fortunate neighbors this Thanksgiving by supporting our Food 4 Families campaign! All monetary donations will be used to buy turkeys, vegetables, and other sides for local families and individuals in need this Thanksgiving! District Running Collective is an innovative running community focused on changing the dimensionality of the sport in Washington, D.C. 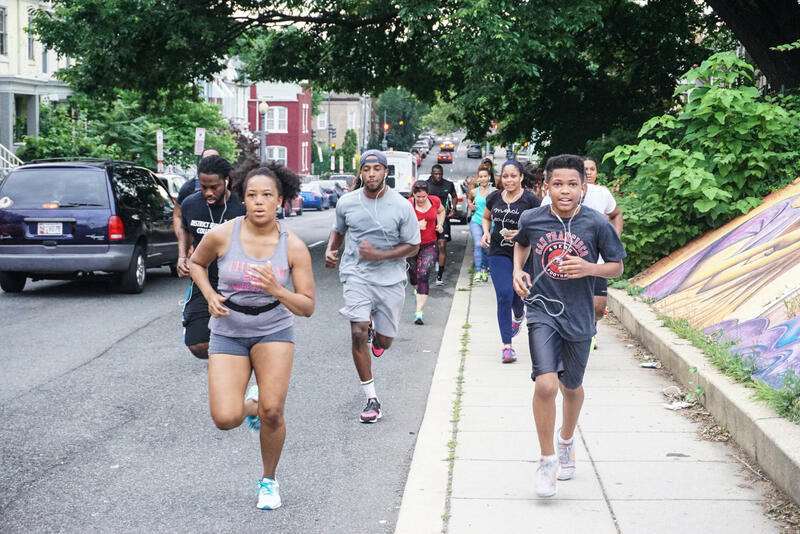 Designed to inspire runners of all backgrounds and experiences to become a part of the D.C. community through running in local communities throughout the city – see and learn about D.C. by running it. Backpacks 4 Kids gives more than 4000 backpacks filled with new school supplies to kids in need in the District, Prince George’s and Montgomery Counties in Maryland, and Northern Virginia. Backpacks are distributed to schools in which the majority of children are eligible for the National Free Lunch Program, as well as non-profit organizations such as Boys & Girls Clubs of Greater Washington, CentroNia’s DC Bilingual Public Charter School, Hope House, and Mary’s Center for Maternal & Child Care. This new and upbeat neighborhood is smartly designed to give businesses, residents, retail, and guests an exciting environment to explore, connect, and thrive. Diverse events, year-round activity, and genuine community create a visibly vibrant lifestyle. Inspired workspaces, open parks, walkable streets, and emphasis on nature promote innovative workstyles and healthier lifestyles.